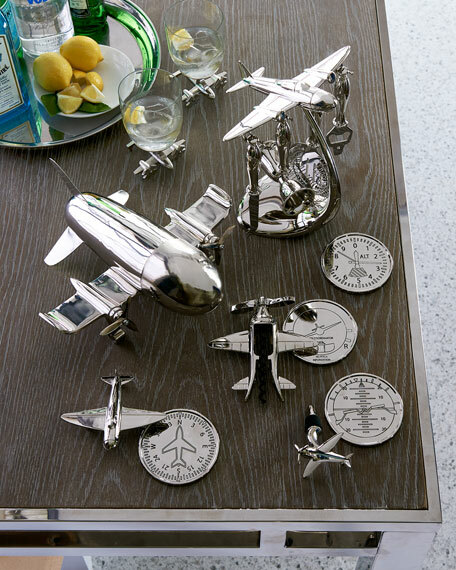 Bar tool set made of nickel-plated metal. 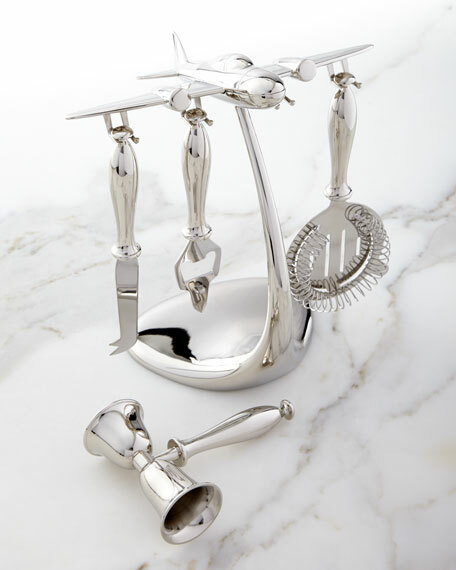 Set includes double jigger, garnish knife, bottle opener, strainer, and stand. 8.5"L x 5.5"W x 10"T.